Fundoo Professor Sanjay Bakshi says the stock market is deeply prejudiced in pricing moated businesses and exploiting these prejudices can lead to successful investments. Bakshi, himself a follower of this practice, says moated businesses carry very low risk of permanent loss of capital. A ‘moat’ is a metaphor that investment guru Warren Buffettfirst used to showcase the idea of a company’s competitive advantage. “I am a value investor, who focuses on investing in moated businesses in India. It’s quite obvious to me that investing in a business with a moat carries a very low risk of permanent loss of capital. A durable competitive advantage makes a business resilient to economic shocks as well as managerial mistakes,” Bakshi said in a presentation at the [email protected], whose video is now available on YouTube. 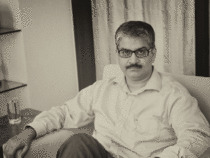 Bakshi, considered one of the best minds of value investing and behavioural finance in India, teaches at Management Development Institute, Gurgaon, and runs ValueQuest Capital LLP as a Managing Partner. In his blog he writes extensively on ways to identify durable competitive advantages in a business. Bakshi says a very profitable, low-stress investment strategy can be built by buying into scalable businesses with moats at rational prices. Such businesses, Bakshi says, should be held for long periods of time. Bakshi says while evaluating a business for potential investment, he uses empathy as one of the key tools to understand it and derive market valuation. Empathy, according to Bakshi, is the ability to step into the shoes of another person, aiming to understand his or her perspectives. Bakshi says he tries to empathise with four types of people before investing. The customer: Bakshi feels it is important to understand how a customer perceives a business that an investor is willing to invest in. Also it is crucial to understand what value proposition does the business offer to the customer and whether it is able to alleviate his pain points. The competitor: Putting himself in place of a potential competitor of a business, Bakshi tries to answer a few questions like why would a competitor be afraid of entering the market, what would be the difficulties he would face if he tries to and what would be the entry barriers? The entrepreneur: Donning the entrepreneur’s hat, Bakshi tries to figure out the drive and secrets behind the success of the entrepreneur. Would he be able to survive tough times? What are his shortcomings? Are they so significant that an investor would reject partnering with him? Mr Market: Evaluating the business from a stock market perspective, Bakshi assesses why the stock market is misunderstanding the business. What are the markets’ prejudices? What will make them go away? According to Bakshi, investors can consider Mr Market as their partner in a private business, who gives daily market quotes at which to buy or sell a stake in a business. “Mr Market is extremely emotional and gets very easily swayed to extremes of elation and despair. At times ‘he’ feels euphoric and can see only the favourable factors affecting the business. When in that mood, Mr Market names a very high buy-sell price, because ‘he’ fears you will snap up ‘his’ interest and rob him of imminent gains. At other times, ‘he’ is depressed and can see nothing but trouble ahead for both the business and the world. On these occasions, ‘he’ will name a very low price, since he is terrified that you will unload your interest on him,” he says. Bakshi also points out that Mr Market is very irrational at times and mis-prices assets temporarily, which allows value investors like him to take advantage of those prejudices. Bakshi lists five main prejudices that Mr Market tends to show against moated businesses, which he says can be exploited to achieve stellar returns. Bakshi says Mr Market’s tendency to categorise a business as expensive simply because its stock is trading at 25 times earnings is an ‘exploitable prejudice’. “If we think we simply don’t know what’s going to happen in the future, that doesn’t mean it’s risky for everyone. It means we don’t know – that it’s risky for us. It may not be risky for someone else, who understands the business,” he says. Bakshi said there are businesses that are hidden champions and go unnoticed by investors. Many of these businesses operate in the middle of a product value chain and do not come into limelight when the final product is ready. There is a tendency for Mr Market to ignore such businesses. Bakshi says it is not necessary that businesses that have made mistakes in the past will continue to do so. But, Mr Market has a prejudice against businesses which made mistakes in the past and are unable to distinguish between businesses that make one-off mistakes and those who will continue to make them. Legendary investor Charlie Munger calls these type of businesses ‘learning machines’. This tendency of making mistakes doesn’t last forever, but sometimes it lasts long enough to make it exploitable. “Value investors should consciously look out for learning machines which haven’t yet been forgiven for their past mistakes. That’s a prejudice worth exploiting,” he says. Most acquisitions do not create value, because the acquirers become over-optimistic about the prospects of the targets and over-estimates the synergies of acquisition, says Bakshi. Although Mr Market is absolutely right when ‘he’ looks at serial acquirers with scepticism, but this does not have to mean that all serial acquirers will destroy value. “There are a few exceptions and sometimes the market is prejudiced against them. The market’s tendency to categorise all serial acquirers as value destroyers is an exploitable prejudice. For value investors, making an investment in such a business, when the market is prejudiced against it, makes a lot of economic sense because of the option value embedded in such a situation,” he says. Bakshi feels Mr Market displays a prejudice when it comes to evaluating the quality of extremely successful entrepreneurs in the early part of their journey. The prejudice is often because investors are too judgmental about them due to their complex personalities, as most of them are not much likable. Also, as limited information is available about them, investors tend to draw pre-mature and incorrect conclusions instead of focusing on the track record of the entrepreneurs. But the reality is that investors can bet on such extraordinary human beings to amass massive wealth. “It’s important for value investors to recognise that a key source of investment success is to become long-term, passive partners with extraordinary human beings whom many would regard as ‘freaks’ or ‘misfits’. I think these traits are a consequence of their fanatic focus on their work. I have been consciously training myself to empathise with such extraordinary human beings,” says he. Bakshi advises investors to learn from Mr Market because ‘he’ tends to correct ‘his’ prejudices over time unlike human beings. “A deeply prejudiced person is immune to information that he doesn’t want to hear due to his stereotypes, but that is not the case with Mr Market for which he should be lauded,” says he. “Why couldn’t we learn from Mr Market to get rid of our own prejudices?” Bakshi asks.